An unexpected visit to the emergency room is one of the leading causes of people struggling to pay their medical bills. In part, this is because treating some medical emergencies can be complicated and time-consuming, which has a corresponding effect on the cost of treatment. However, it should also be noted that charges can accumulate with surprising speed, meaning that even the simplest treatments can prove to be expensive in the extreme. Regardless, it is important to note that people who have to pay for an unexpected emergency room visit should not lose hope as there are ways to mitigate the impact. How Can You Overcome the Financial Challenges of an Unexpected Emergency Room Visit? 1. Review your Billing Statement. Review your emergency room billing statement for accuracy. The hospital should provide you with an itemized billing statement detailing each service provided and its cost. Should you see a charge on your statement for a service or supply that you did not receive, call the hospital billing or finance department and ask that they remove it. When reviewing your billing statement, also check to see that either a copy of the statement has been sent to your health insurance provider for payment or that a payment has already been made by your health insurance provider. If you are unable to tell by looking at your statement, contact the hospital billing department and ensure that a copy of the statement was provided to your health insurance company for payment. Finally, check the names of the doctors who provided your medical care, including everyone from the ER doctor to the radiologist and anesthesiologist, who might send you a separate billing statement for their services. Although the hospital you went to may be in your health insurance network, the doctors used may not be. Check with your health insurance provider; you may be able to reduce these costs or file a complaint. If you’re not satisfied with that outcome, you can always file a complaint with the Maryland Insurance Administration (MIA). 2. Review Bill for Correct Coding and Billing Errors. A billing code is assigned to each item being charged and is read by your health insurance companies to determine how much will be paid. However, 80% of all hospital bills are coded incorrectly. You may also want to contact a patient advocate to help determine the different codes on your billing statement. Other billing errors can include duplicate charging, canceled tests or procedure charges, or incorrect quantities. 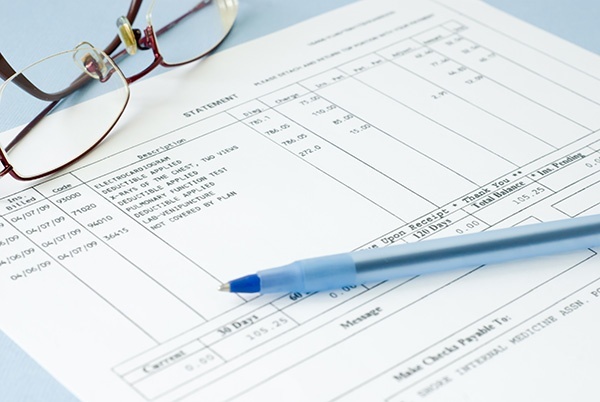 Review this list of common billing errors. 3. Contact a Patient Advocate. A patient advocate is a trained professional who serves as a go-between for patients and their families and the representatives of the healthcare industry. Patient advocates can assist patients with many things, such as helping you interpret your healthcare billing statements. They may also assist you in managing or reducing those hospital and medical bills. Patient advocates can assist with filing insurance claims and disputing any denials. Arming yourself with the knowledge of what exactly your health insurance policy covers and your expected co-pays will help you determine whether or not your insurance has paid or will pay for the procedures performed during your emergency room visit. Most health insurance companies have online portals where you can review your policy. 5. Fair and Reasonable Charges. You can negotiate your charges for what is called fair and reasonable charges in your area. How do you know what is a fair and reasonable charge for a medical procedure in your area? Go to the Healthcare Bluebook, enter your zip code, and then search for the type of procedure you had performed to get a fair and reasonable charge for your procedure. The Healthcare Bluebook allows you to breakdown your procedure by the type of hospital or physician all the way down to charges for medications. It may even provide a coupon for your medications. Once you know what is a fair and reasonable charge for your procedure, you will be able to negotiate with the hospital and/or doctor to reduce your charges. 6. Consider your Payment Options. Most hospitals and providers offer financial assistance and payment plans. Contact the billing department to inquire about any reductions or discounts you may be able to receive. Be willing to discuss payment plan options. Generally, providers will not turn an account over to collections if you regularly make payments on your bill, even if it’s a small amount. If you are claiming a hardship, be prepared to provide some information about your finances. There’s a long list of charities and organizations that can help provide assistance to people who need help paying for medical costs. When negotiating for a reduction or payment plan on your medical bill, it is important to remain calm and polite. When negotiating with someone who isn’t quite being helpful, ask to speak to a supervisor. A supervisor may have more authority to negotiate your situation with you. Explaining your hardship in a calm and genuine way will increase your chances of eliciting sympathy, which will increase your chances of receiving a better payment arrangement. Keeping your medical bills and insurance EOBs in order by date will make it easier for you to review these documents for inaccuracies. A single visit to the emergency room can lead to numerous medical bills in the mail. You will receive bills from the hospital, the physician who treated you, possibly the imaging department and radiologist, and so forth, depending on what procedure you had done. By keeping these bills organized in date order, you will be able to review each bill to make sure you are not charged more than once for a single service or for a service you did not receive. An EOB (Explanation of Benefits) from your insurance company is a breakdown of the bill your insurance provider received and the amount they paid, along with any discounts received and how much you may still be responsible for paying for that particular cost. Understanding your EOB and being able to compare it to the bill that you received will help you determine which bills may have not yet been provided to your health insurance as well as your individual outstanding cost. If you find any discrepancies, alert your health insurance provider, especially if they paid for a service you didn’t receive or a duplicate billing charge. There is a chance they may contact the facility directly to negotiate the issue. Keep track of all follow-up appointments on a calendar so you know when to expect additional bills as well as when and how much you paid on each bill. You may want to keep your insurance policy handy for quick referencing. There are plenty of apps available today, such as CakeHealth and Simplee, to help keep your medical expenses organized and even alert you to possible over charges. Here’s a list of the top ten apps available to assist you with tracking your medical expenses. It’s easy to leave a bill at the bottom of the mail pile until it’s time to pay, but if you have a medical bill you want to dispute the charges on, DON’T WAIT! You have about only 90 days before the hospital or medical provider turns your medical bill over to collections. Review your bill as soon as you receive it. This will allow more time for you to research fair and reasonable charges for the services, check your health insurance policy for allowable coverage, and finally negotiate with the provider for a reduction. If you wait too long, your bill could go into collections, making it difficult to receive a reduction from the provider—not to mention hurting your credit rating. If you negotiate an arrangement for a payment agreement, get it in writing, along with the name and contact information of the person authorizing the agreement. This is not only important for your own records, but because of the various components and departments within the medical community. While you may work out an agreement with one person, that information may not get properly relayed to the biller. Having an agreement in writing will protect you while also giving you the ability to send a copy of the agreement to the biller, should they need to see it.